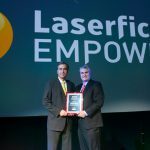 Laserfiche has announced the Muscogee (Creek) Nation as the winner of a Run Smarter® Award in the “Best Public Service Initiative” category. The fourth-largest Native American Sovereign Nation in the U.S., the Muscogee (Creek) Nation is a federally recognized tribe of 77,000 people based in the state of Oklahoma. It uses Laserfiche to share documents across 60 departments, giving tribal members easy access to government programs and public information. “The essence of the public service initiative is ease of access to government program services. 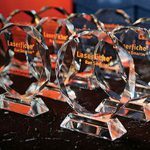 As the workflow engine for digital program application submissions, Laserfiche gives our program workers more time to focus on their clients and allows the public to more easily access the service programs they need,” said Cindy Freiling, MCN IT Manager.